The ResurFx facelift has radically altered the way the modern world approaches skin resurfacing and general improvement of the skin’s appearance. 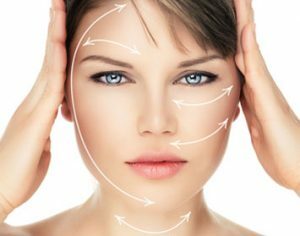 An increasingly popular laser skin resurfacing treatment in London, the ResurFx facelift system uses a cutting-edge, non-ablative photo-fractional laser to resurface and rejuvenate the skin. ResurFx facelift has proven uniquely effective in the reduction of the appearance of scars, wrinkles and uneven skin due to loss of collagen. As one of the fastest, simplest and safest approaches to laser skin resurfacing in London, you could even fit a ResurFx facelift into your lunch break. ResurFx facelift skin resurfacing proves that you don’t have to go to extremes to dramatically improve the appearance of your skin. From exposure to sunlight to the skin’s natural ageing process, the ResurFx facelift can immediately improve skin tone and deliver long-lasting results. Comfortable, affordable and incredibly effective, our ResurFx facelift skin resurfacing treatments in London are among our most popular services. Discover what makes ResurFx Laser Treatment one of the most popular cosmetic treatments for facial skin rejuvenation in London. HSA Dermal Clinic is proud to offer a comprehensive range of ResurFx Laser Treatments to suit all requirements and budgets. A significantly simpler, safer and more cost-effective alternative to the traditional facelift, a ResurFx Laser Treatment takes minutes to complete and is capable of delivering immediate results. With absolutely no invasive surgery required, the skin’s youthfulness can be restored with a single session. ResurFx Laser Treatment uses microscopic laser beams to remove layers of damaged skin tissue, promoting rapid healing and the production of healthy skin cells. In addition, the laser also encourages the body to produce more collagen, which naturally improves the appearance and suppleness of the skin. As the most advanced non-surgical treatment of its kind developed to date, ResurFx Laser Treatment has earned the approval and recommendation of experts worldwide. HSA Dermal Clinic is proud to present the latest innovation in non-surgical facelift technology – ResurFx Skin Rejuvenation. One of the most popular, affordable and accessible alternatives to the traditional facelift, ResurFx Skin Rejuvenation uses cutting-edge laser technology to enhance and improve the appearance of the skin after a single session. Microscopic laser beams are used to eliminate damaged skin tissue, nurturing the growth of healthy skin cells and the development of collagen. This two-way skin rejuvenation technique results in significantly smoother and suppler skin, reducing or even eliminating many common signs of ageing. As a comprehensively non-surgical treatment, ResurFx Skin Rejuvenation is also considered significantly safer than the traditional facelift. Here at HSA Dermal Clinic, our experience, expertise and commitment to the most advanced technology enables us to perform the innovative ResurFx Skin Rejuvenation for truly unbeatable results. Contact a member of our customer support team today to arrange a free consultation.